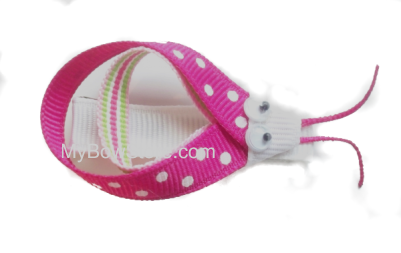 Cute bug shaped clip made with shocking pink and white swiss dot ribbon and sherbet colored stripe ribbon. These clips look so cute on infants and is sure to turn heads. Start your collection of these in each color today!